It seems like there is a lot of condescension in the literary world about “self-published” authors. This annoys me. First off, because I have many friends who self-published excellent books, and secondly, because I have self-published two ebooks (even though my print books aren’t self-published). *Beatrix Potter’s “The Tale of Peter Rabbit” was turned down by six publishers, but this didn’t get the young authoress down. She decided to self-publish the book. 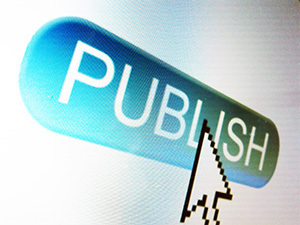 One of the publishers who had turned down the project saw the completed book, changed his mind and offered to publish the next edition of the book. *Mark Twain, fed up with his previous publisher, decided to self-publish “Huck Finn”. Ironically it became one of his bestselling books, perhaps because he implemented a door-to-door marketing campaign. *Edgar Allan Poe (my favorite writer of all time by the way), self-published his first book “Tamerlane and Other Poems”, thus effectively launching his career (even if he never did get the money or respect he deserved while alive). *Charles Dickens self-published “A Christmas Carol” after having a fight with his publisher over the earnings related to a previous book. *Some great authors like Jane Austen and the Bronte sisters even struggled to get publishers to publish their books “all expenses paid”! In fact, Jane Austen’s family offered a publisher the opportunity to publish Jane’s first published novel, Sense and Sensibility, on ”behalf of the author who will incur all expenses”. Not only did Jane’s family pay for publishing costs, but they also had to pay a commission to the publisher for each book sold! Sounds like a rotten deal to me, but she did ok in the end. *Ever read Tolstoy’s “War and Peace”? Neither have I, but it was self-published too. *Some other authors who are said to have self-published at some point in their careers: Benjamin Franklin, Walt Whitman, e.e. Cummings, Carl Sandburg, Ezra Pound, Stephen Crane, Rudyard Kipling, Alexandre Dumas, Henry David Thoreau (plus many, many more, but I really don’t want to type all their names, so Google it if you are interested). In the end, I’m not going to say that all self-published books are good, any more than I would say all traditionally published books are good, but I do think all books deserve to be judged for their literary merit, rather than their publisher. Thanks Rena! Your self-pubbed title was one I had in mind. It really is an excellent book.